A man who stole a wallet and used the supermarket loyalty card inside it to spend up to 96,500 reward points - which were saved up over 10 years - has been handed a 12-month community order. David Samuel Arthur Osbourne, 34, of Victoria Road, Scarborough, admitted theft and fraud and was sentenced at York Crown Court yesterday. After he was caught, Osbourne told police he had thought it was his "lucky day", an officer has said. On April 14 this year, a man lost his wallet while shopping in Scarborough and reported the loss to the police. Later the same day a Nectar card from the wallet was used in Sainsbury’s on Falsgrave Road in two separate transactions to purchase items worth a total of £482 – using up to 96,500 points. Receipts showed the points were used to buy items including three mobile phones, steak, pet food and chocolates – and the card was left with a balance of less than £20 (3,622 points). The store is covered by CCTV, and the offender using the card was captured on camera. He was also recognised by officers. 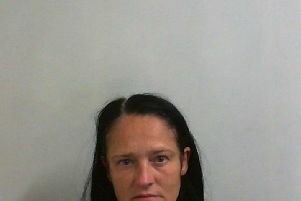 Osbourne was arrested on May 26, and subsequently charged with theft of the wallet and two counts of fraud by false representation for using a Nectar card in the name of someone else. PC Liam Cromack, of Scarborough Police, who led the investigation, said: “The victim and his family had saved up the Nectar points for more than ten years to buy themselves something special, so when Osbourne used them they were understandably very upset. Osbourne pleaded guilty at Scarborough Magistrates Court on June 8 and was sentenced to a 12-month community order with a rehabilitation activity requirement, and ordered to pay a victim surcharge of £85.